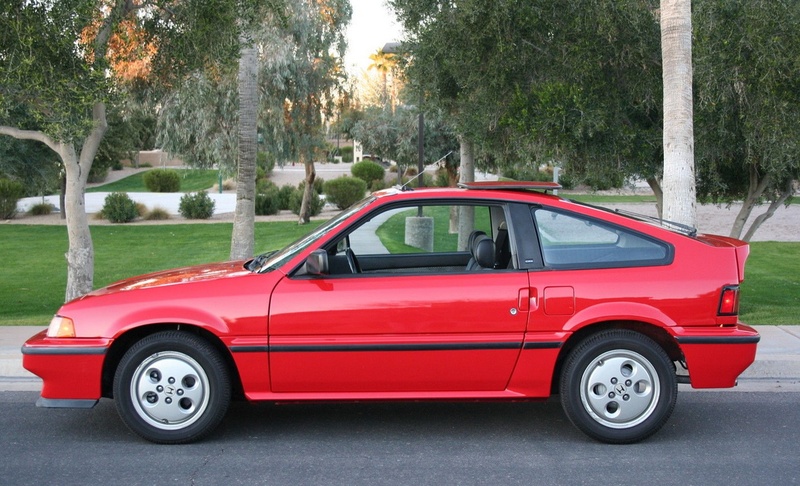 This original 87 CRX Si looks to be in fabulous shape. 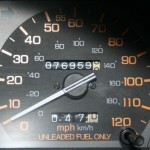 With 77k miles on it, you probably won’t easily find another one in the entire country that shines up quite as pretty. Looks like the rear bumper is a bit droopy, but come on if the car was perfect we would be afraid to drive it. 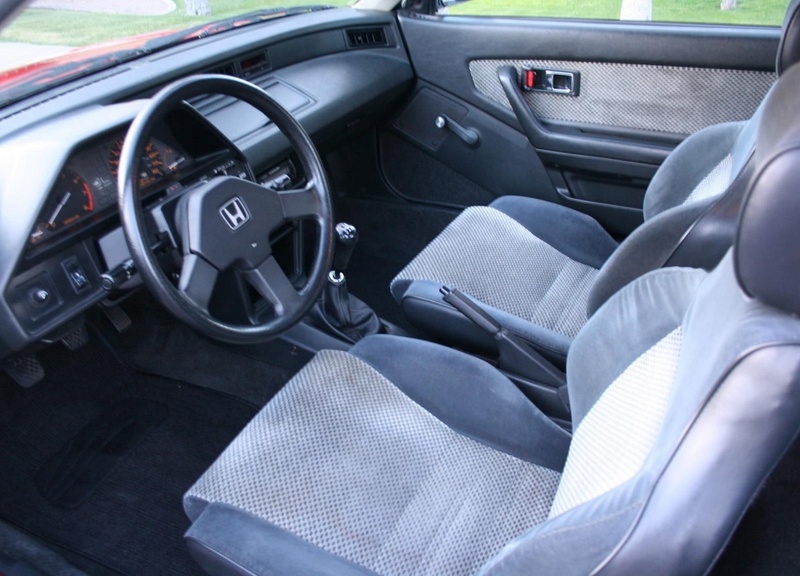 Speaking of perfect, check out that interior. 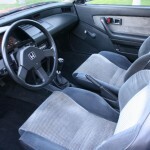 No airbags to worry about in 87, so we could let the kids ride in the front seat. No milkshakes or goldfish crackers though, because the interior is just remarkable in terms of how clean it looks and totally devoid of wear or age. 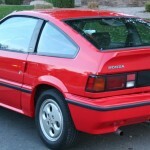 I believe 1987 is the last year of the 1st generation CRX. 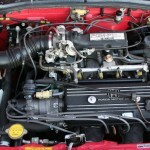 The HF version I think got around one meeellion miles per gallon and came with a 60 hp engine. 0-60 time was 14 seconds. Nope, I didn’t say quarter mile, 60 mph. The Si faired better, with a 91 hp engine to propel 1,840 lbs. No lie, 1,840 lbs straight off the factory floor. 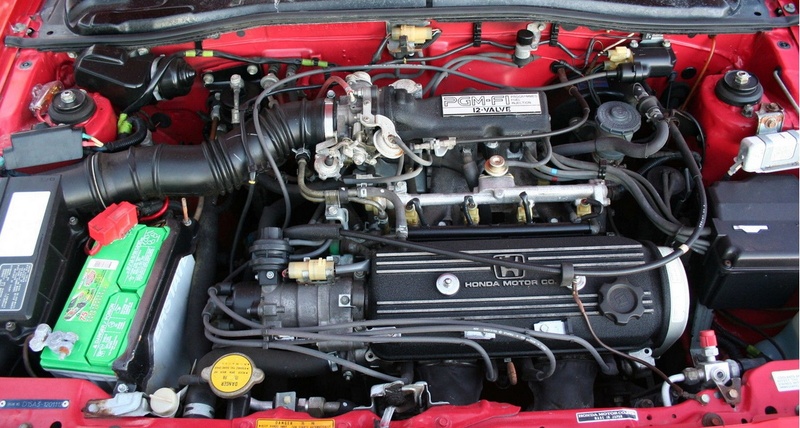 They were rated at 36 mpg on the highway, but with that sweet little transmission and that super light clutch and that very direct manual steering, you are going to keep that thing buzzing near redline constantly right? 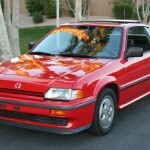 Base price for the Si in ’87 was $7,999. 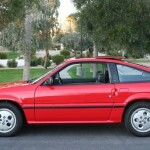 They made 48,355 CRX’s in 1987. 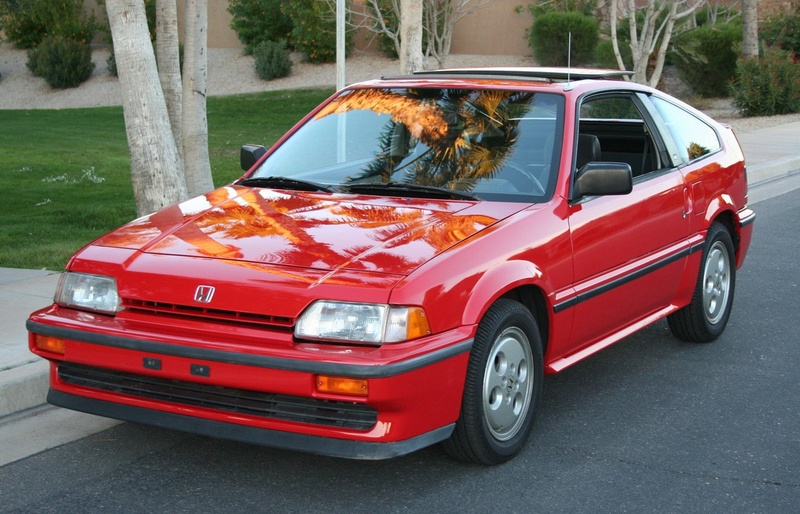 A friend of mine owned one of these in high school. She had a red one just like the one in these photos. This beauty is currently posted on ebay. It’s at $4900, with a day and a half left on the auction. It’s at $4,900 but the reserve hasn’t been met. Whatever the cost, if I were rich, into my stable it would go. Zoom| 25 queries. 0.071 seconds.